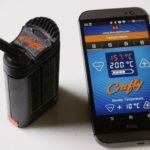 The Crafty is built by Storz and Bickel, and made in Germany. 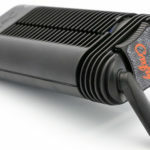 This is one of the highest quality portable vaporizers out there. 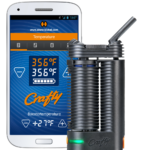 Manufactured by the good people who created the legendary Volcano and the top-rated Plenty vaporizers, the Crafty Vaporizer is, simply put, one of the best in the market. 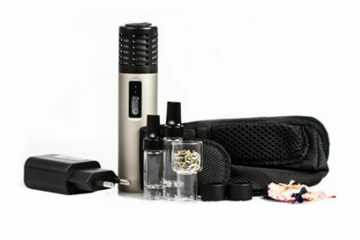 It is the smallest vaporizer made by this manufacturer and the only one to fit nicely in your pocket. The overall design characteristics of this unit put it in the highest class, with few rivals. When you take a closer look into the specifics of this world class instrument, it is easy to see why it has quickly become a favorite of enthusiasts around the world. The Crafty just plain rocks. With a bombproof design and some high tech features it’s an impressive little unit to be sure. Yea, it’s slightly bulkier than some other portable vapes, but the thing is a beast of a performer. 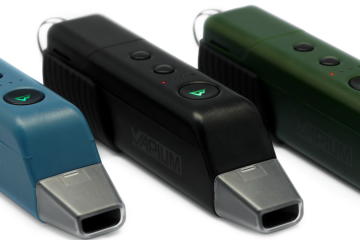 It’s like the Marshawn Lynch or Gronkowski of vapes, durable, trustworthy and always ready for gametime. Having the mobile app makes it all that more fun to use. 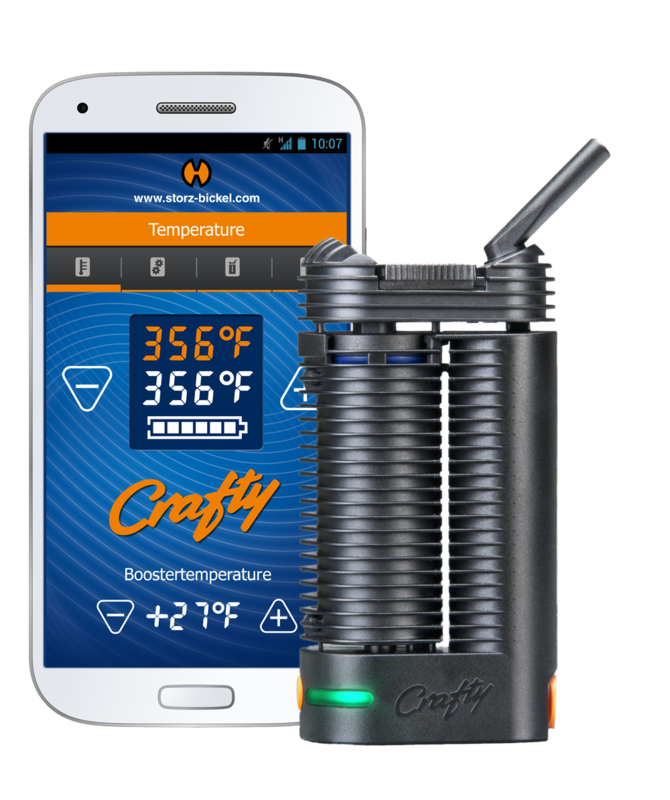 Made from a solid, ventilated plastic, the Crafty vaporizer rarely gets hot to the touch. It will warm a bit, but for a device for a vaporizer this is expected. 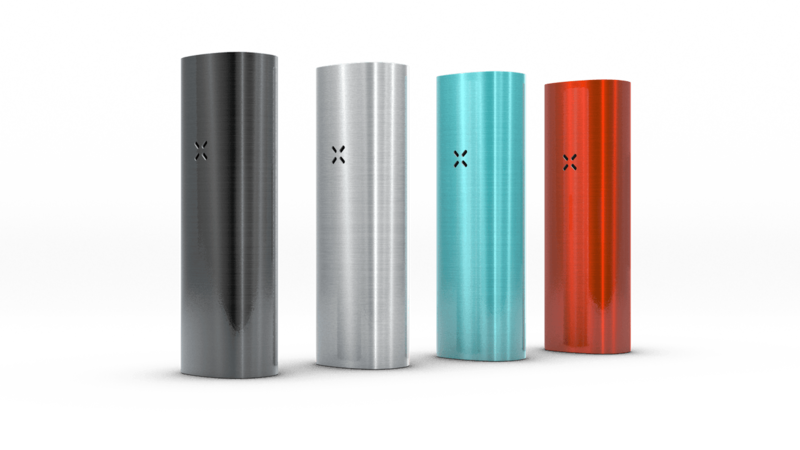 The ventilated design actually gives the device a grip of sorts, making it all the easier to keep hold of while partaking. The design is also cool to look at, blending form and function in an elegant way. 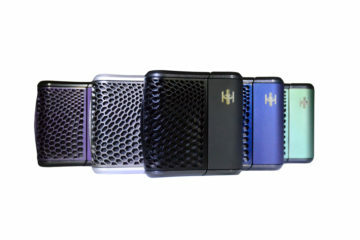 This device is also small enough to fit in your pocket while retaining the discreet profile that many users will enjoy. The mouthpiece is on a swivel and is essentially separate from the device itself. This means it is exposed, but can be turned inwards to stay flush with the rest of the unit when not in use. In short, this device will do exactly what you need it to and look good in the process. There is a slight snag, however: you’ll need to show that you want it a bit more than with other products. This is arguably a feature rather than a flaw. The chamber for this device is able to hold about 0.3 grams of ground herb, depending on how fine the grind is. There is a packing tool that comes included which also acts as a storage container, holding about three sessions worth of ground material. Allow about 90 seconds for the unit to come up to temperature (the default is 356F, or 180C). Though this wait time is a bit longer than most, the Crafty compensates with blinking lights and a vibration when ready to use. The default temperature is sufficient for most uses, but this can be modified using a smartphone app (more details on this later in the article). Once at temperature, the unit will hold steady. There is a built in automatic shutoff, as you might expect of a high end device. Therein lies the first flaw: the automatic shutoff activates after one minute of inactivity. Activity is determined by the internal temperature of the unit. 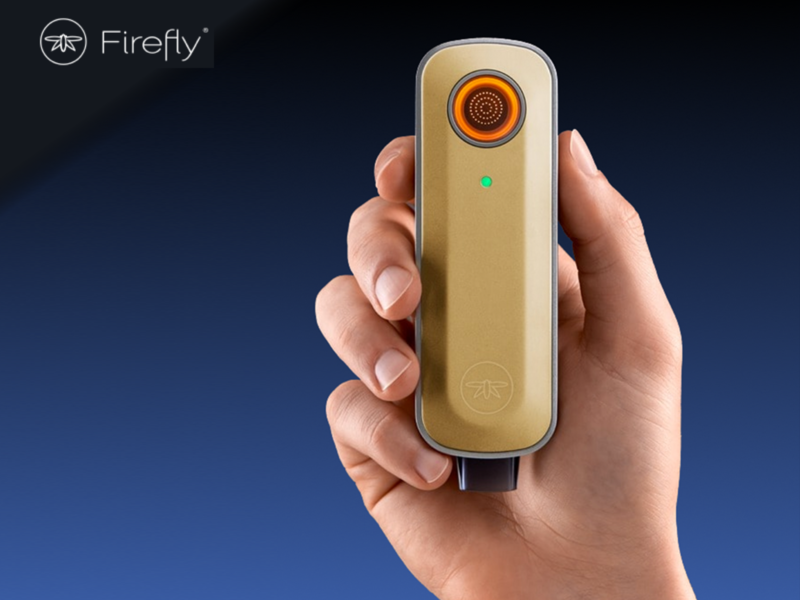 Unfortunately, the device is so efficient that it will sometimes not register use because the internal temperature did not drop by the required amount. The automatic shutoff can be circumvented by simply pressing the power button once a minute and is really more of a minor annoyance than a design flaw. In order to properly utilize this device you will need to draw harder than most contemporary designs. It is common for draw time to be a few seconds, and that is still true here. A five second pull will get you a light visible vapor on exhale. The Crafty needs somewhere around ten full seconds of draw to make best use of its talents. This is well worth the effort, as you will get some of the best size clouds. The quality of the vapor is never hot or harsh despite these longer draw times. Smooth, great tasting clouds of vapor are all you’ll ever be able to pull. 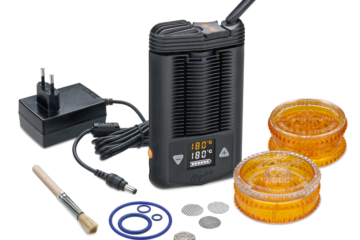 Remember that this device is made by the same people who bestowed the world with the Volcano vaporizer while you enjoy the delightful benefits of the longer draw. There is a “liquid pad” for smaller amounts of herb or oil concentrates which comes included with the unit. The main reason for this is because the material needs to be firmly situated in the chamber without being too tightly packed. The pad assists with keeping what you’ve packed in the chamber stationary for the best draws. Cleaning is fairly easy with the chamber as a brush is included with purchase. Just make sure to wipe the inside of the chamber clean after each use and you should not have any problems. The mouthpiece will need special attention, although this is infrequent. Most of the unit comes apart into smaller pieces and can be cleaned with either an alcohol solution or just soapy water. Make sure to give everything a pat down to ensure everything has properly dried before putting it back together. There are also replacement o-rings that come in the packaging in case one is ruptured or otherwise compromised. As with most devices, a little preventative maintenance can save you a bigger cleaning headache down the line. 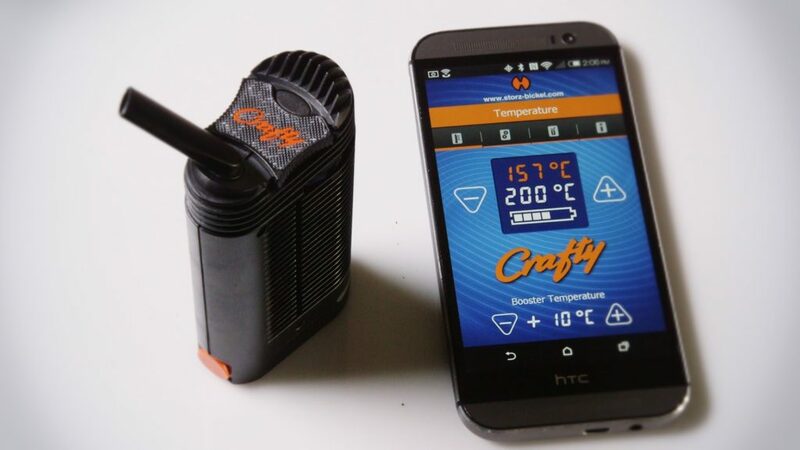 There are a few features of the Crafty which can be controlled by downloading a smartphone app and syncing it with the device. This includes the dual temperature settings (both default and “boost” temperatures) and the brightness of the LEDs. The app uses bluetooth to connect to the device and is available for both Android and iPhone. It also shows the current temperature and battery charge of the Crafty for real time monitoring. For a balance of power and portability, the Crafty has no equal. The amount of features this device has are somewhat staggering for a unit of its size. Additional control provided by the smartphone app push it over the top. 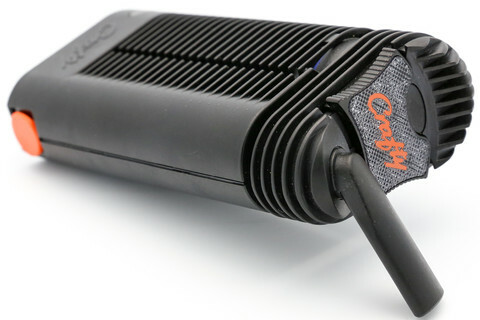 The main drawbacks of somewhat shorter battery life and marginally deeper draws to stay efficient are blown away by the Crafty’s ability to provide top shelf quality vapor and still fit in your pocket. Based on their shipping speed and exceptional customer service, Vapeworld is our first and only choice. The most discriminating smokers will love the Crafty thanks to its bulletproof design, hi-tech features, and reliable craftsmanship.